HALLIE EPHRON: Following on from last week, talking about TV shows, I offer this a first-world whine: Television used to be so simple. You plugged the TV in (to a wall outlet! ), turned it on, jiggled the rabbit-ears, and voila! There were shows you could watch and they were (wait for it…) free! 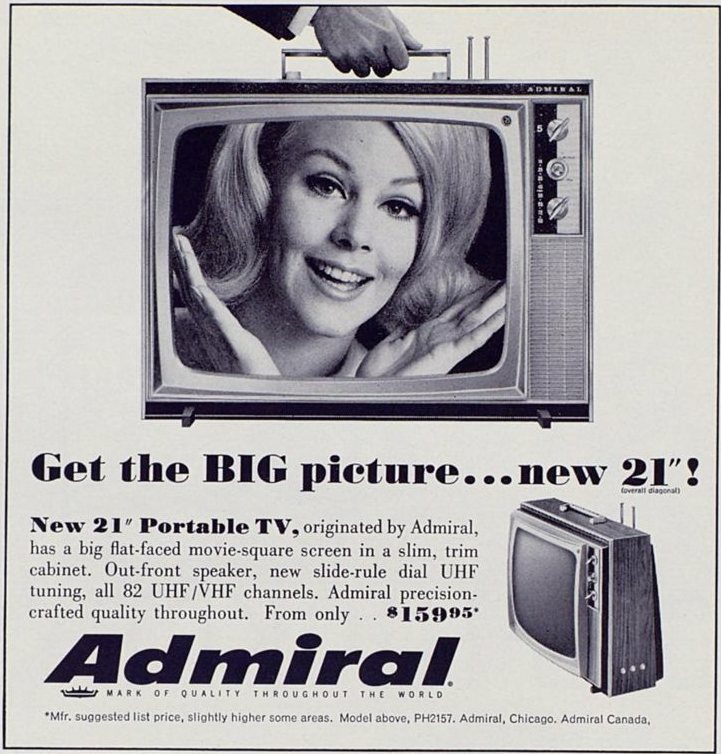 Yes indeed, I even miss those features of analog TV like "horizontal hold." 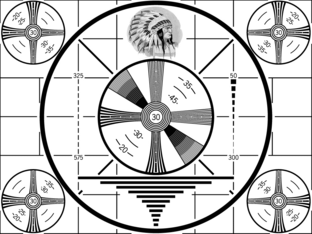 Remember when you turned it on and the programming hours were over, and up came an image of an Indian head... and it didn't occur to anyone that the imagery was inappropriate. Then along came cable. I never succumbed. I survived without watching a single episode of THE SOPRANOS or THE WIRE. Now there's streaming, too, and a million shows that people talk about but that I have no idea where to find or whether I should care. In our house, we have Xfinity WiFi/Internet which includes "Basic cable" – the stations we could get with rabbit ears plus an incredible number of useless channels. The only ones I ever watch are PBS. For this I pay nearly $100 a month. We have a ROKU on our set, a mysterious gadget that my son-in-law (God bless him) installed. On it, we have a subscription to Netflix. I cannot do without "Stranger Things" and "GLOW". Plus all of Sherlock and Poirot and NCIS and Midsummer Murder. Yes, overall worth the $9 a month. Hoping I'd find Scott and Bailey I added Acorn (sadly not on Acorn) which costs me another $5 a month. It has "Vera"and "The Detectorists," which I find sublime, but otherwise there's not so much. So along comes "The Marvelous Mrs. Maisel" and I am seduced into adding Amazon Prime. Yay, And soon I'm going to watch "The Americans." Plus I love being able to watch movies like "Lord of the Rings" in 20-minute bursts, about all I can take of all that marching and shouting and fighting. Not too bad for another $10 a week (and there's the free shipping). Except it turns out there are a ton of shows and movies you can get THROUGH Amazon Prime but you have to pay extra. Feh. So today's question? Are you cabling or streaming or just plugging in? Is there one source you couldn't give up? Oh, for the simplicity that once was television. We have DirecTV, so that means a bunch of channels we never, ever, ever watch because they come in that frightfully expensive package that we get in order to have the channels we would like to watch. And everyone always delights in telling us what great shows we’re missing, but we have no streaming anything and, no, I’m not paying CBS extra, even if I’d really like to watch that new STAR TREK show . . . .
And I thought if I had DirectTV I'd have "everything." There's so much not to see. I agree the choices of how to watch TV are huge and we have much more limited choices here in Canada compared with the US. I gave up my basic cable subscriptions in September 2016 since I hated paying $65/month to watch 4 or 5 channels. I have unlimited internet so I stream TV shows for free on our national networks (mostly news on CBC or CTV) and watch a few weekly shows (Big Bang Theory, Hawaii Five-o). I have a Netflix account for watching shows like Longmire for $10 a month. And I watch this on my TV via Roku which costs nothing after paying for the device at the beginning. Youtube is watched this way too. Lots of cooking shows! And just before Christmas I signed on for Amazon Prime since they now offer Prime Video in Canada (they did not until recently). I have started watching Bosch and enjoy it. YouTube. Hunh. What's on it? And it's free on Roku?? I'm watching Bosch, too. Or I watched the first episode, which is based on one of my favorite books of his, City of Bones. Both Youtube original food shows (I watch the Domestic Geek, Everyday Food with Sarah Carey/Martha Stewart and Mind over Munch) and older Food Network cooking series. I forgot to add Food Wishes with Chef John which is part of Allrecipes.com. All these Youtube series have been on for 3-5 years so there are 100s of episodes to choose from that are only 5-10 minutes long. And it's nice to be able to go download the recipe from their websites. Bosch? Please tell me, Tom Cruise isn't playing Harry? LOL. He can't ruin everything, Christine! That's what my son in law is, an engineer. So handy to have one of them around. My husband, the physicist, is pure theoretical. Sigh! If only! Because my internet is too slow out here I cannot stream anything so it wouldn't help me to have any of those wonderful (maybe) devices. I have the most basic of TV packages via satellite but mostly all I care about is PBS and the original networks. If I wasn't surrounded by hills I could probably get those with a super antenna. BUT - books! I don't need anything fancy at all to read (except at night I need a good light). So, thank you to all my favorite authors and to the ones I haven't discovered yet! Indeed we do love Judi. Hey, if you ever get a Kindle-I like the light weight paper white--since the screen is lit you can lie in bed at night in a totally dark room and read your kindle to your hearts content. Also the batteries last up to seven hours without recharging so if you have a power outage . . .
We're still avoiding extras and streaming services, but our antenna was never enough for clear reception out here in the boonies and we rejoiced when cable was finally extended out this far. It now costs more a month than our mortgage payment back in the 1970s. No complaint about the chunk that is for Internet, but no one needs that many TV channels. My husband surfs through about 20 of them, but ends up mostly on NESN and the PBS channels. At a guess, I watch shows and movies on about ten different channels and ignore the hundreds of others. I wish they'd let us pick and choose and maybe pay a flat rate per channel. It would have to be cheaper. Laughing at "more per month than our mortgage payment" - I was teaching in 1973 and making 9K. My husband was a college prof at about 18K. And we bought a house for 36K. Ah, changing times. And I bought my first new car in 1976, a Honda CVCC, for $2K. SIDEBAR: Looking at the hairstyle of the lovely lady on the TV: THE FLIP. How I wanted that hair. It's secret, back-combing and a ton of hairspray because otherwise the front droops across your face and the flip flops. Some of us were not blessed with Mary-Tyler-Moore Hair. Especially those of us with really curly hair. No amount of straightening could make me look like Mary Tyler Moore. Ha. My hair is thick, but baby-fine, and no matter what I did, my flip flopped. Hairspray did nothing but weigh it down more. Just remember, it took a whole herd of professional hair-stylists to make Mary Tyler Moore look like Mary Tyler Moore. Good timing on this post, Hallie! We recently dropped cable tv and switch to DirectTV (MUCH cheaper than cable). We also use Netflix and Amazon Prime. The only thing we don't get is PBS. Apparently to get "free" public TV you have to pay for cable. SIGH. Fortunately, I can watch show the next day on the PBS app. Speaking of shows, anyone who has Netflix should check out Longmire, based on Craig Johnson's books. Cathy, you should be able to get local digital channels with an antenna hooked to your TV. It doesn't even have to be a very heavy-duty one. There are lots of options at the appliance stores like Best Buy. Most areas have at least one PBS station, and some have extra digital channels: locally, we have Channels 48 and 54. Our digital choices are 48-1. 48-2, 48-3, 54-1, 54-2, 54-3, and 54-4. We can also get channels from Dayton (I live in Cincinnati). We bought our first digital TV 11-12 years ago, and did not have cable. The way you access these digital channels is through your remote control, which has different "sources"; the one you want will depend on your setup. Hallie! It may amuse to know that my husband and I are still existing with two analog televisions and no cable/tv service. I just refuse to throw away equipment that still works. "Free" tv still has tons of stuff--at least in LA--including Cozi TV (just watched the Magnum P.I./Murder She Wrote crossover episode...) 6 movie channels, 8 PBS stations, a great station called Decades, etc, much more variety than I seem to get when I'm in a hotel with cable. You can still buy an antenna and go old school if you want. Speaking of TV in hotels... these days I can never figure out how to turn the darned things on. You'd think they'd come with instructions. We cancelled cable five years ago and have never looked back. Unfortunately we still have Time-Warner for wifi, but that will end this year when fiber-optic service comes to our neighborhood. We have friends who already have it and love it, so much faster. We use Roku almost exclusivity, except for local news and weather. We get PBS on that as well on the network antenna. I like Amazon Prime mostly because of the free shipping, but we do watch some things on that. Hulu takes the place of on demand and recording stuff. But our favorites are Acorn and Britbox, five bucks a month each, and with more content than we could ever watch. And because we are PBS contributors, we get the passport version, lets us watch things like Victoria in a binge instead of waiting for each new episode. We'd be sending PBS money even if we didn't get that benefit. As far as HBO, Showtime, et al are concerned, we sign up for a free month when there is something we want to see, Homeland for Julie, for instance. You just have to watch for the month to be up. With two of us, we can alternate the sign ups. I refuse to pay extra for CBS tho. What Hulu doesn't provide for network TV we miss. We survive. I could live forever without Netflix, but Julie is a devoted customer. We probably aren't saving all that much over cable charges with the various subscriptions, but we are getting only what we want, not those jillion crap channels on cable like Ft. Worth Stockyard. I remember when cable cost only a few bucks a month, was commercial free and showed mostly movies on one of the 3-4 channels. But that was long ago and far away, not to be seen again. I must be a luddite. We contribute to PBS but I have never been able to make it work on Roku. It sends me to my computer for some kind of password and then I"m lost. I'm still hooked up to cable, though I watch only 3 channels. Fortunately, here in Ontario, besides PBS from over the lake in Buffalo, we have TVOntario and CBC. (Downside is, being over the lake from Buffalo, we're denied online streaming of shows from PBS, even though I'm a card-carrying member.) For this I pay my cable company nearly $50 monthly. But... lately everyone I know mentions The Crown. And Acorn. I really need to step up my reception. I do NOT miss the horizontal hold. When my two youngest were small, we had a TV ban in place during the week: no more than two hours, total, and they had to clear it in advance with me. Once we stopped letting them watch, it meant the TV was off most of the time. My brother called me the TV Nazi, but our girls did far better, academically, than his kids did. So, there. I did not grow up with a working TV (mostly, our broken TVs were the world's most expensive knickknack holders), so my go-to entertainment has always been reading, or some kind of craft, usually sewing. As my daughters have pointed out, and which was also true for me, not watching means we miss out on some cultural references. Big deal. We never had cable, and then fiber optics came to our street, and they sent salesmen around to campaign for everyone to sign up. We do expect to eventually sell this house, and it's 300 feet from the street, so I let them talk me into bringing the wires to the house. We had the service (one step above the basic plan) for a little over a year, but I found I rarely turned it on. We cut back to the basic, which isn't much. Lots of shopping channels, some PBS, and at least one very slanted news-only channel called Newsy. We cannot get one of the major networks at all on this service. With just an antenna, though, we get more digital channels (about 20 PBS alone), and better reception, frankly. Hallie, about Acorn: I've discovered two versions of Agatha Christie's Partners in Crime, with Tommy and Tuppence Beresford. Both are good. The original one is pretty old, but the clothes are so much fun. The newer version stars the black-haired woman from Call the Midwife. And have you watched any of Miss Fisher's Murder Mysteries on Netflix? Delicious. I confess, i let my kids each have a tv in their room and they often 'watched' and did their homework at the same time. Their grades were good so I just let them be. Thanks for the tips on Acorn. We just have FiOS (which I agree - we pay way too much for what we actually watch, but I need the live sports for The Boy, so...). For streaming we have Netflix and Amazon Prime. My brother-in-law finds a lot of stuff on Prime, but for me Netflix is the one I wouldn't give up. Not in the least tempted by the others. I think I agree with you Mary on Netflix being the last to go. When cable informed me a few years ago I could no longer use my remote but had to switch to a box that I had to install myself I discontinued cable. Ten thumbs, no tools. Someone I know switched to rabbit ears, installed by her son. I briefly considered it, but no son, ten thumbs, no tools. I borrow DVDs from the library. I buy DVDs of programs I love (detective programs, no surprise there, and Dr Who.) I inherited my sister's newer TV when she died a year ago and will probably get basic cable eventually. But the appealing feature of her TV is the built-in DVD player. I'll use it when I get someone with skills and tools to set it up for me. Currently, I play DVDs on an old laptop. Story of my life: No son. Our DVD player gave up the ghost awhile back and I refuse to get a new one. We have cable which my boyfriend complains about since a lot of nights there’s nothing we want to watch. Mostly we watch PBS but I like to watch ESPN, History and the food network which we can’t get with an antenna. Our library has loads of movies on dvd and also most of the popular tv shows if you don’t mind being a season behind. We considered ditching cable when we moved, but we didn't have time to research options. We're not on a contract so we can switch any time we decide we're ready. I watch just a few channels too, and I'm not sure that finding more things to watch is a goal. The hardest show for me to give up would be the reruns of As Time Goes By. I love Judi Dench and Geoffrey Palmer. And now it's time to unpack more boxes. Sigh, As Time Goes By -- it's back on our local PBS station, I'm sure I've seen every episode ...twice at least. I especially love the early episodes before they got married. When I lived in the country I couldn't get anything except what came in over the antenna on the roof. Cable wasn't even offered out that far, let alone high-speed internet. So when I moved into the city, I immediately signed on for cable services, and bought a real-sized TV, so I could be all modern and sophisticated. Except there was next to nothing I wanted to watch. I watched movies on DVD most of the time, and cut back to basic cable. Now Debs and her tech-fluent husband want to get me set up with Roku and a new antenna on the roof, and all the little subscriptions that seduce you, Hallie. I will probably succumb, but I hardly ever watch TV for any reason anymore. Mostly I read. I like it. It's quiet, except for the amazing stories unfolding in my head. Plus, I can do it in bed, which allows room for as many as three dogs and two cats to join me. And it's relatively cheap. I highly recommend it! With three dogs and two cats you already have in-house entertainment. That's how I figure it. I have just enough animals to make up for the lack of human companionship. I hear you, Gigi. Two cats and two dogs, here. The teenager subs in for the third dog. My nieces and nephews can't believe that we used to get up and walk to the TV to turn it on or off or change the channel or adjust the volume! And what does it mean, they want to know, to "adjust the horizontal?" Decades ago, when I first heard of the possibility of "pay TV", I imagined that meter boxes would be attached to TVs, into which we would insert a quarter for each program we watched(it seemed like a lot of money at the time! ), and TV meter maids would stop by monthly to empty the meters! DebRo, when I tell my kids about how everyone in the house would sit on the sofa and watch the SAME SHOW at the same time, they acted like I was describing taking a buggy ride to the barn raising. I have a small TV in my bedroom/workroom with an Amazon Fire Stick. I only watch that TV which is not connected to cable. I have Amazon Prime, Netflix, Acorn, and Britbox. And I am one happy camper. I never see ads, I choose what I want to watch, and I have never had a time when I couldn't find something I like. Contrast == hotel TV with cable and premium stations -- and there is NOTHING! p.s. I wish I had Turner Classic Movies. Hmmm. Britbox. Several folks have mentioned. Shoot me now, but I'm going to check it out. This is a great topic, and considering what a TV junkie I am, definitely one that I can talk about. So I have cable TV with the preferred package over the basic package. I did just drop my subscription to Starz and the regional sports package but otherwise I still have a ton of channels which like Hallie, I don't watch most of them. But I pay the cost because the way the tiers are structured I'd lose stuff I do watch if I dropped certain things. I do not have Netflix, Hulu, Amazon Prime or any of those other things. The only thing I miss about not having Netflix is that I don't get to watch Daredevil or Longmire until they get released on DVD. I do like the superhero shows that are on the various streaming services but I can live without any of them except Daredevil. As for Longmire, GREAT SHOW and I wouldn't miss it, even if I have to live with the delay. As for Amazon Prime, the only thing I miss out on is Bosch. I saw the first season because I used a co-worker's account while at lunch when working. But I've missed the rest and Amazon hasn't put them out on DVD. But them's the breaks. It's a little costly for the cable to be sure and I have the Internet with the same company, so I'm not cord cutting any time soon. So here's my question about Longmire. Love the series. But a few seasons back it got SO dark. Is it still? If you think it was dark, then you probably wouldn't like it still. We differ on the definition of dark though because I think the show has been simply fantastic from episode 1. Ha, Gigi, we love you! And I have to say I never watch TV in bed--reading only. Yes, we ditched our cable/satellite about a year and a half ago. We have an antenna, so we get off-the-air (talk about all the channels you would NEVER watch! I was amazed) and Roku, and a thing called Tablo from Amazon that lets you record and time-shift either two or four things at one time. We already had the antenna, and Roku boxes are cheap. The Tablo was the biggest expense but I haven't regretted it. And we have no monthly cable bill. We do subscribe to Netflix, Amazon Prime, Hulu, and Acorn, but we were doing that even with satellite. We are paying temporarily for CBS all access because we LOVE the new Star Trek series, but we'll cancel that as soon as it finishes in two weeks. Ann, we are PBS contributors, and we have PBS on our Roku. Is that the same as PBS Passport? Loch Ness? Will you keep watching it? I think we'll give it at least another episode, for the scenery if nothing else. The relationship set-ups seem a bit formulaic, but the acting is good and the case is interesting. I liked Loch Ness. Fed my blood lust. Deb, google PBS passport. Requires a monthly donation. Minimum is five bucks. I think we give them a lot more. Favorite charity and all that. I do still have cable but just changed to a cheaper TV package and higher speed internet. I love the Roku -- there are some interesting free channels in addition to the paid streaming services. One of my favorite subscription services is Curiosity Stream -- all documentaries, especially lots of science and nature. A question: is there enough difference between Acorn and Britbox to have both (I have Acorn now)? That's my question, too. Britbox/Acorn. And where oh where are Scott and Bailey? Hulu. Scott & Bailey are on Hulu, Hallie. I adore both BritBox and Acorn. I find the content different. Try it and see. I can’t possibly predict! My television quit, about 6years ago, and I realised I didn't miss it, except for PBS, and the news broadcasts. I like the silence, when I'm reading (which is all the time), rarely have music playing ... the quietest place in town. We don't have cable. 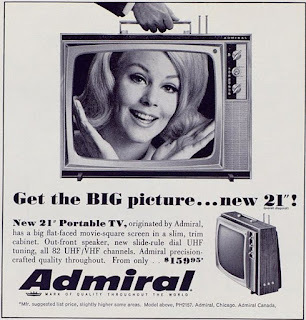 Mom watches over the air broadcast - MeTV, COZITV, Antenna TV have all the old shows from the 60s through the 80s. We have a Roku for her to watch Netflix movies. I occasionally watch a live sporting event over the air broadcast - the World Series, NASCAR, and I enjoy CBS Sunday Morning with Mom while we munch our toast and drink coffee. I watch through YouTube, Netflix on my PC, and FREE dvds from our wonderful library! I used to watch through pirate sites - they have ALL the shows from all the venues, but many of them got shut down, as they should have been, and I stick to the legal routes now. Pauline, my kids download from pirate sites, but I was always too chicken - what if I caught a virus? If you like old movies, there are a surprising number free on YouTube. Public service announcement: Please do not watch pirated movies or read pirated books or listen to pirated music. Please. The change in technology made me think of one of the great opening lines in fiction: "The sky above the port was the color of television, tuned to a dead channel." (William Gibson, NEUROMANCER, 1984) Incredibly vivid, but incomprehensible to a generation growing up with 125 channels on cable. When a channel occasionally goes dead on my TV now it turns bright lime green. Am I the only one? We have the cable sports package for NBC and Fox Sports. In addition to the BPL, it's a World Cup year. I watch DVD's from the library (just finished 6 seasons of Wire in the Blood, now luxuriating with 8 seasons of George Gently. Martin Shaw is sublime). Next up, the third season of the Fall and Close to the Enemy. The software engineer hubby is in charge of all the technology; I just tell him what I want to watch, and he makes it happen! We have Xboxes (yes, multiple, since he used to code for them) and we have Xfinity on demand, HBO, Netflix, Amazon, Acorn, Hulu, you name it. I'm willing to pay more to get the shows I want to watch. I consider it part of our entertainment budget. Much cheaper than going out to movies!!! I don't have a working television. For the most part, I don't miss it. I do have 3 working android devices. I have a truly unlimited service on two of them and only WiFi on the third, so I can watch movies and television shows (albeit on small screens. I rarely pay for movies (on Google Play Movies). Usually when they offer a special $1.00 for a rental. For truly free TV or movies, I have found Hoopla. With my library card I can borrow e-books, audio books, movies and television. They limit you to ten downloads a month; however, I've found some interesting stuff. I think it was 2 years ago, that I made my through all the Inspector Morse and Inspector Lewis shows. Right now I am working my way through the episodes of an Italian police show called Detective Montalbano. The subtitles are a little distracting on a small screen but I manage rewinding when I get lost. For another free service I keep an eye on SnagFilms. Mostly B-movies and oddball documentaries like Morgan Freeman's Prom Night in Mississippi. As a last resort, I actually trudge to our local library and borrow a DVD which I can watch on my laptop. I just have to make sure I return them on-time as the overdue fines on DVD's can get pretty pricey. I do love baseball but although MLB does offer a video package which I could use with my phone I choose to only listen to the audio feeds. I follow the Phillies and the Yankees. For $20 for the season, (which they just take without asking me) I can listen to the radio feeds for all regular and post season play and many of the pre-season grapefruit league games. They start broadcasting end of February beginning of March and I find it a reassuring harbinger of Spring. Acorn, Netflix and BritBox. I wanted to watch The Crown so I got Netflix. And I liked the Miss Marple episodes with Joan Hickson so I decided to get BritBox. I lived in England for two months and I watched Blackadder and All Creatures Great and Small. After watching repeats on PBS, I decided to get Acorn so I could watch the rest of the Midsomer Murders episodes. I am a big fan of Midsomer Murders. As much as I love Hallmark movies on hallmark channel, sometimes I get tired of watching TV with longer and longer commercials. Steaming is worth it because there are no commercial breaks. And I can turn on the Caption option. I have Netflix, Acorn (Doc Martin), Starz (Outlander), HBO (getting ready to cancel it again), Showtime, and Amazon Prime. I keep thinking that I don't watch enough to justify all these extra little charges, but then I binge on something on Netflix and decide to hold on to others, too. And, my daughter and my husband (who is in Kansas until June when he retires) can also use the Netflix subscription. That's probably the one I can justify the most. I came late to The Crown, but I am now on season two and am enjoying it. I binge watched Stranger Things last year, and then there was Godless and Ozark recently. Then, I keep seeing ads for BritBox, which I need to know is worth it from some of you who have it. I don't have Hulu, but I got my son a Hulu gift card for Christmas, and he says he really won't use it, so I might use it and give Hulu a try. And, now you tell me there's a PBS Passport? And, the thought of Roku makes my head spin. It really does bring me close to wishing for the days of old with three channels and a horizontal hold. I had only antenna until 4 years ago when Outlander came out. Staying in the country, my only choice was to add the basic TV option to the fiber-optic of my phone and my internet to watch it. I have nothing else and need nothing else presently. Working full time and reading the rest of the time leaves little time to watch series. I'll check my options when I'll retire. I just have cable. I wait a year to watch the new season of Fuller House until Netflix puts it out on DVD. Other than that, most of the other shows don't appeal to me, and I can hardly keep up with all the shows I watch on Basic Cable. We cut our cable TV and land line phone about three months. Our cable TV/internet/phone package was $245 a month! That was eating into the doggie food budget so it had to go. We now spend $70 a month for high-speed internet and wireless. I did a massive "what do you use and how do you like it" poll on Facebook. After a week of going back and forth with Facebookers loves and hates, we put our Roku in a drawer and bought an Amazon Fire Stick. I like it better because it uses Alexa. If you want to switch from Amazon to Netflix, to Play Station view you just hit the microphone button and say what you want. You can also be in Netflix and tell it you want to watch Bosch and it uploads Amazon and opens the Bosch program. The Fire Stick, like the Roku, was a one time purchase. Netflix is about $8.00 a month, Play Station Vu is $44.00 a month. Like Hulu, or Sling, Play Station Vu is a way to watch TV shows. You can go on line to look at each one and see what channels each offer. Play Station Vu has everything we want to watch and, to my mind, is more user friendly than Hulu. To be honest I hated Hulu, but it had the disadvantage of being at the beginning of this new learning curve so of course I hated it! By the way, you don't need a Play Station gizmo to make it work. That would only be for gamers which we definitely are not. So we reduced our tech monthly cost by more than half! The doggie is happy. The library has Rokus for checkout. 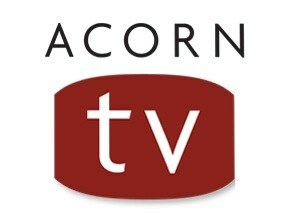 They currently have Netflix, but we're in the process of adding a bunch more streaming services, although I have not seen the Acorn one - that would be popular! We also teach a "cut the cord" class, which is really funny because my husband works for them... I just can't teach it, because everyone wants to bash them, and I don't bite the hand that feeds. I think the most important thing is knowing what kinds of media you like and how you can get what you want. I like having a lot of options, but to be honest, most of my consumption still comes from the library.